Communicating To Manage Health & Illness - ubiq bookshop: the best place to buy books! Communicating to Manage Health and Illness is a valuable resource for those in the field of health and interpersonal communication, public health, medicine, and related health disciplines. This scholarly edited volume advances the theoretical bases of health communication in two key areas: 1) communication, identity, and relationships; and 2) health care provider patient interaction. 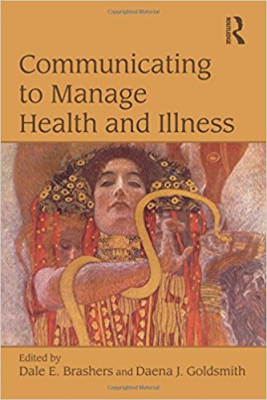 Chapters aim to underscore the theory that communication processes are a link between personal, social, cultural, and institutional factors and various facets of health and illness. Contributors to the work are respected scholars from the fields of communication, public health, medicine nursing, psychology, and other areas, and focus on ways in which patient identity is communicated in health-related interactions. This book serves as an excellent reference tool and is a substantial addition to health communication literature.